The Smithsonian Libraries has been contributing manuscripts from our collections to the Smithsonian Transcription Center for digital volunteers (or Volunpeers) to transcribe for over a year now. We’ve featured a variety of materials, from a vocabulary of the Potawatomi language, to shipboard diaries, to natural history field books and aeronautical scrapbooks. These works have all been quickly and enthusiastically transcribed, and now we’re offering up a much more challenging item, sure to warm the heart of anyone who has an interest in medieval Latin: the De institutione arithmetica (On the principles of arithmetic) of Boethius, handwritten during the 15th century, from the collection of the Smithsonian Libraries’ Dibner Library of the History of Science and Technology, located in the National Museum of American History. 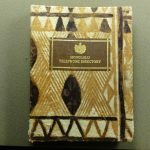 The Smithsonian Institution Libraries recently acquired a telephone book. Big deal, you say? 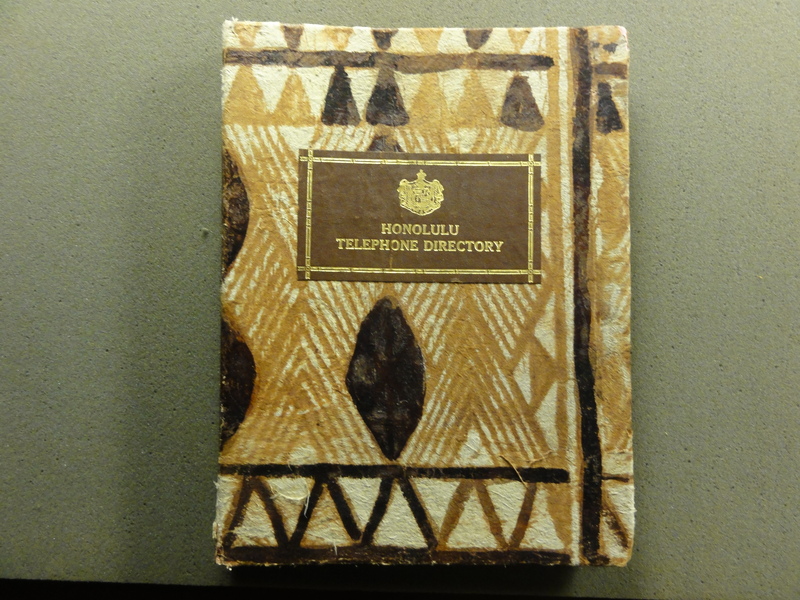 Ah, but this is a telephone directory for the territory of Hawaii, issued for the winter of 1930. For that reason alone, it’s fun to browse through, to see the old advertisements and daydream about living in the gorgeous Hawaiian Islands, back in the days when the entire list of businesses and households in the territory which owned telephones could be recorded in one slim volume. But this isn’t just any old phone book. This particular copy belonged to the Royal Hawaiian Hotel in Honolulu, which opened in February 1927 on the spectacular Waikiki beachfront. Known as “the Pink Palace of the Pacific,” the Royal Hawaiian Hotel was one of the earliest luxury resorts established in this tropical paradise. The stylish décor featured at the Royal Hawaiian Hotel, inspired partly by the native crafts of the South Sea Islanders, exerted a lasting influence upon tourists from the mainland, who came to associate the good life in Hawaii with vivid patterns reminiscent of exotic plants, birds, marine life, sunshine, and ocean waves. The life of a soldier can be lonely, alternating tedium with terror, and the affection of a pet can offer much solace and amusement, creating a bond that can continue long after deployment is over (for instance, there have been recent stories in the news about some U.S. Marines who have adopted pet cats in Afghanistan, detailing their efforts to bring these beloved animals back home with them). The notion of a pet cat accustomed to riding along perched on a soldier’s knapsack hardly seems so fanciful. On October 22, 2010, the Libraries participated in the Smithsonian Archives Fair to celebrate American Archives Month. Special Collections Cataloger, Diane Shaw, delivered a presentation about the archival materials of The Russell E. Train Africana Collection.